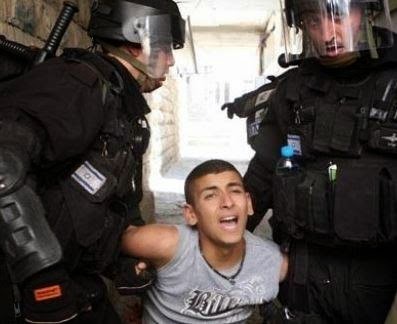 Israel's Version of Equality - It Beats and Tortures Adults and Locks Them Up Without Trial - Why not Children? 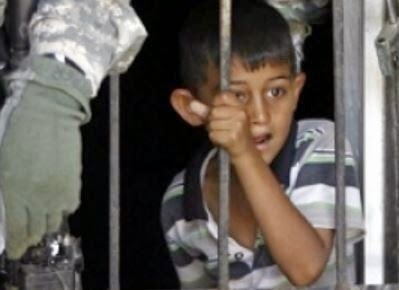 This is a shocking story of how Israel treats child prisoners. The Israeli Medical Association has nothing to say and neither, it would appear, does the World Medical Association. Supporters of Israel, such as the Zionists SirMark Pepys turn a blind eye to these blatant breaches of every convention on the treatment of the civilian population. Israeli children of course are given all the benefits that children in any civilised country are entitled to, but that does not apply to Palestinian child prisoners. Mark Pepys, who has led a campaign against The Lancet, for printing a letter in the middle of Operation Protective Edge, when over 500 Palestinian children were killed, behaves like one would have expect the SS Doctors like the infamous Dr Mengele. s Committee has reported, on Tuesday, that several detained Palestinian children testified to their lawyers about repeated torture, abuse, and intimidation, by Israeli interrogators and soldiers. The Committee said detained children continue to suffer ongoing violations, torture and abuse by Israeli interrogators, in direct violation of International Law. Lawyer Heba Masalha, one of the lawyers of the Detainees’ Committee, managed to visit several detained children, on Monday, in the HaSharon Israeli prison. 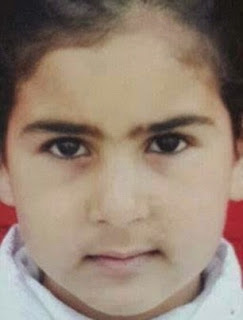 Masalha stated that Jamal az-Za’tari, 15 years of age, from the at-Tour town in Jerusalem, was repeatedly beaten and kicked starting directly after the soldiers stormed his family’s home, and during interrogation. She added that the soldiers cuffed the child; repeatedly beat him on various parts of his body, including his head, and denied him access to food, or even water, for extended hours. 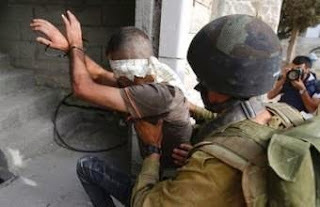 The child was kidnapped nearly two months ago, and was moved to the HaSharon prison, where he was stripped of all of his clothes, before the soldiers started beating and insulting him. The lawyer also met Riyad Abu Ta’a, 17, from Sheikh Jarrah neighborhood in Jerusalem. He was kidnapped in Sultan Suleiman Street, in the Old City, nearby four months ago. After his abduction, soldiers cuffed and blindfolded him, and started kicking and beating him, largely on his back, before he was moved to the HaSharon prion where he was strip-searched and tortured. Masalha also managed to visit several child detainees in the Majeddo Israeli prison, including Eyad ‘Adawy, 17 years of age, from the northern West Bank city of Nablus. Adawy stated that several soldiers stopped him near Beit Forik roadblock, before attacking and beating him. He said that one of the soldiers repeatedly cut his hands every time they used knives to remove his plastic handcuffs, during his arrest, and while moving him to interrogation centers. The soldiers also repeatedly kicked and punched him on different parts of his body, especially his face, during his arrest nearly a month ago. 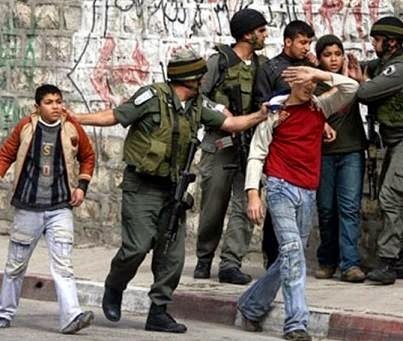 The Detainees’ Committee said Israel is currently holding captive 200 Palestinian children in ‘Ofer, Majeddo and HaSharon prisons.